Liverpool have reportedly made contact with Juventus over the transfer of Paulo Dybala amid speculation Cristiano Ronaldo could be set to join from Real Madrid. The Reds could therefore take advantage of the fact that someone like Dybala may well feel he’ll be playing less often next season due to the presence of Ronaldo up front. 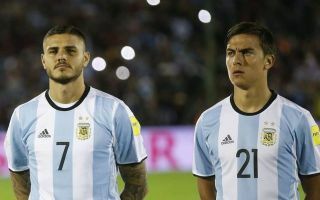 Long regarded as one of the most exciting talents in Europe, the Argentine forward is now in Liverpool’s sights this summer and they’ve made an initial approach for the player and would consider a bid, according to Tuttomercatoweb. Dybala certainly seems an ideal fit for Jurgen Klopp’s side, and an attacker of his kind could be useful to the squad after a failed move for Lyon star Nabil Fekir earlier this summer. The Liverpool Echo have previously reported of how Fekir’s proposed £53million switch to Anfield ended up falling through, and Dybala would be a similarly exciting addition to the front line. TMW add that the 24-year-old may be open to the move to Merseyside, in a deal that would continue to give LFC one of the most exciting attacks in the game. Mohamed Salah, Sadio Mane and Roberto Firmino were all superb last season and Liverpool’s rivals should be very frightened indeed if Dybala ends up lining up alongside them next term.